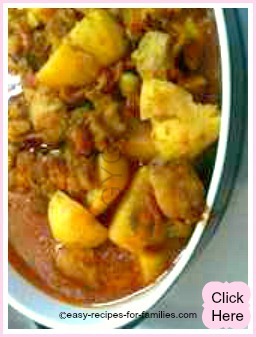 You can't go past this very easy and tasty easy curry chicken recipe. It really is a matter of tossing in the meat, cook with the special sauce, then add the remainder of the ingredients and that's it! This curry chicken recipe is just so very more-ish. 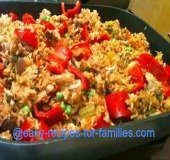 This recipe serves 6 - 8 persons and goes well with fluffy white rice and a separate sides of lovely fresh greens. • Lastly, add coconut milk. Cook for a further 5 minutes. 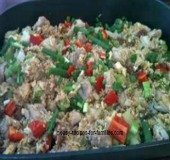 This is a delicious meal and you'll find that leaving this overnight allows the flavors to soak into the chicken and it's even more delicious the next day. 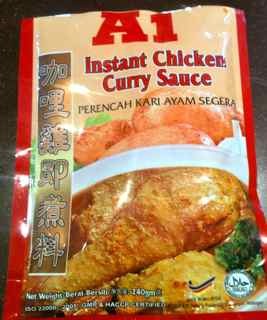 I've tried different curry sauces and have found this A1 Instant Curry Chicken Sauce, the best as it is not too spicy/hot and has depth of flavor. Now, how easy was this curry! To make this a healthy recipe, do take the time to trim fat off the chicken meat as its unhealthy saturated fat. 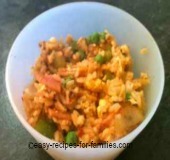 Select chicken thigh meat rather than breast meat as chicken breast meat becomes tough and is easily over cooked, in dishes such as casseroles and curries. 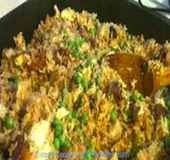 Leave Easy Curry Chicken Recipe to be inspired by hundreds of mouth watering easy recipes!